Next week a veritable who’s who of free and open source software luminaries, maintainers and developers will gather to celebrate the 20th annual OSCON and the 20th anniversary of the Open Source Definition. Naturally, the Google Open Source and Google Cloud teams will be there too! Rachel Roumeliotis, Kelsey Hightower, Scott Hanselman. Photo used with permission from O'Reilly Media. 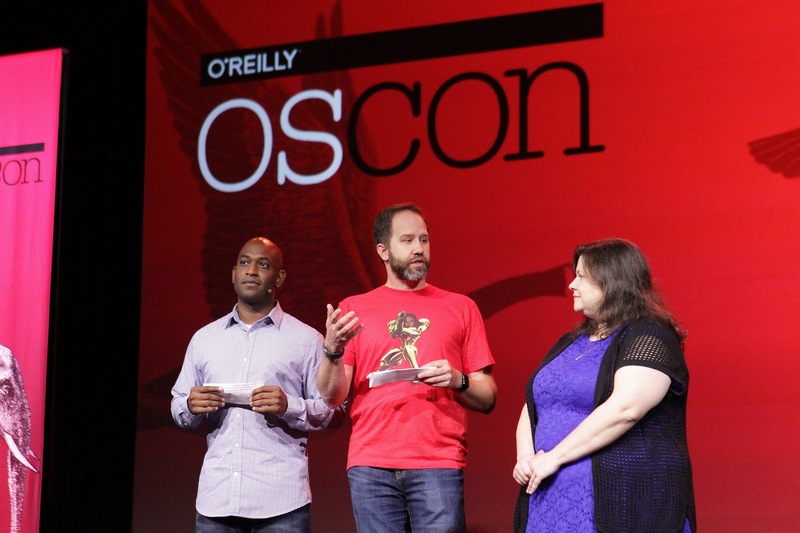 This year OSCON returns to Portland, Oregon and runs from July 16-19. As usual, it is preceded by the free-to-attend Community Leadership Summit on July 14-15. We look forward to seeing you and the rest of the community there! This entry was posted in Open Source Blog and tagged conference, Events, Istio, k8s, Kubernetes, meetups, Open source, OSCON, TensorFlow on July 13, 2018 by Open Source Programs Office. Kelsey Hightower, Scott Hanselman, Rachel Roumeliotis. 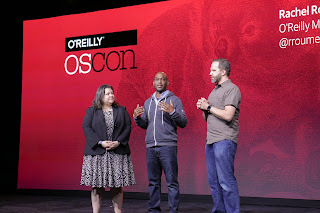 The Google Open Source team is getting ready to hit the road and join the open source panoply that is Open Source Convention (OSCON). This year the event runs May 8-11 in Austin, Texas and is preceded on May 6-7 by the free-to-attend Community Leadership Summit (CLS). You’ll find our team and many other Googlers throughout the week on the program schedule and in the expo hall at booth #401. We’ve got a full rundown of our schedule below, but you can swing by the expo hall anytime to discuss Google Cloud Platform, our open source outreach programs, the projects we’ve open-sourced including Kubernetes, TensorFlow, gRPC, and even our recently released open source documentation. 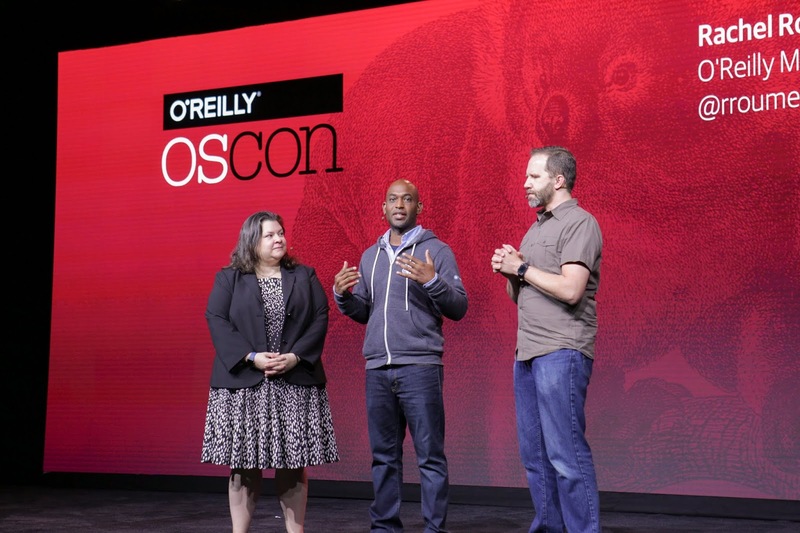 Of course, you’ll also find our very own Kelsey Hightower everywhere since he is serving as one of three OSCON program chairs for the second year in a row. Are you a student, educator, project maintainer, community leader, past or present participant in Google Summer of Code or Google Code-in? Join us for lunch at the Google Summer of Code table in the conference lunch area on Wednesday afternoon. We’ll discuss our outreach programs which help open source communities grow while providing students with real world software development experience. We’ll be updating this blog post and tweeting with details closer to the date. We look forward to seeing you deep in the heart of Texas at OSCON 2017! This entry was posted in Open Source Blog and tagged conference, Events, gci, gsoc, GSoC Meetups, meetups, Open source, OSCON on April 26, 2017 by Open Source Programs Office.